Hello! Long time no blog. How are things? Things with me are good! I just wrapped up a small group coaching cycle, am full swing into unpacking curriculum modules with our K-2 team, and have also been Work Planning with our leadership team for next year. 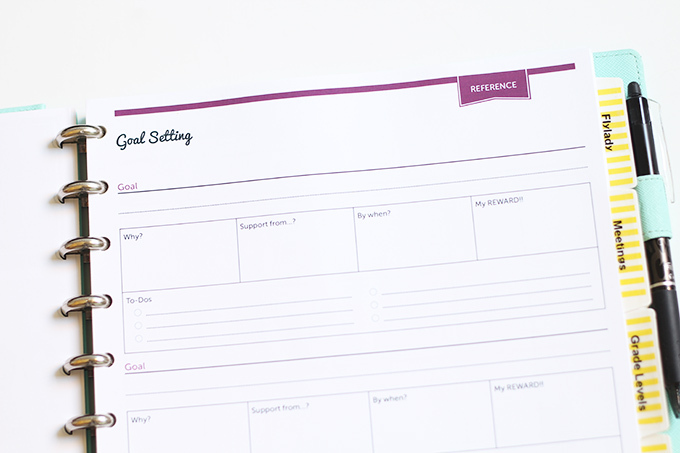 Oh, and on the side, we’ve been hard at work getting next year’s Time & ToDo Planner going…exciting! So yes, things have been good, but they sure have been busy. And I have to say these last few days and weeks, I’ve been feeling especially overwhelmed. More like I’m frantically thrashing through my days, rather than calmly and confidently flowing through them. Do you ever have those days or weeks? During those times when I’m feeling especially overwhelmed with lots of meetings, planning to do, and other commitments, I have to take a pause and get back to the basics. What are the basics for me? Daily routines provide structure for our days and everything we do. There are five key, daily routines that really help me to feel more in control of my days and on track. Oh my cherished, morning routine. I wake up particularly early. When it’s dark, it’s quiet, and it’s blissful. This is my time to organize my thoughts and tasks for the day. To have some time for solitude and reflection. To “reset the room” from the night before, and launch myself forward into a successful day. There are a few key morning habits, sequenced into a routine, that help make a great start to my day. Once at school, I give myself 20 minutes to get set-up for the day. In these past few weeks, I’ve found myself not making time for my shutdown routine. Not good! 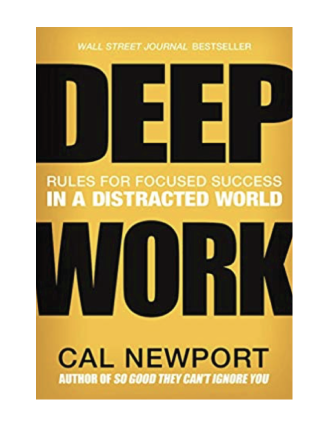 When I don’t take time to get “clear and current” at the end of the day, and organize for the next, I find myself taking more work home with me and creating more stress for myself the following day as I try to catch up. 20-30 organized minutes at the end of the day serves me well in setting up for the next. When I get home after a long day, it’s super tempting to just sling my bag on the dining room table and throw myself down on the couch. But nope. I’ve still got things to do. And so the day is done. After dinner, I have just a few more key tasks to complete that makeup my evening routine. 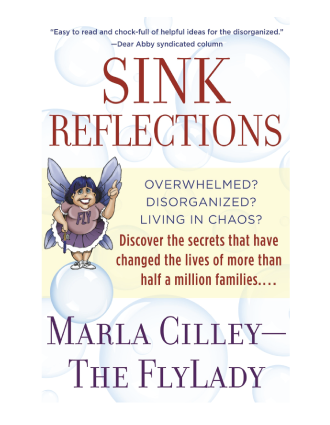 One of the most important being, shine the sink! 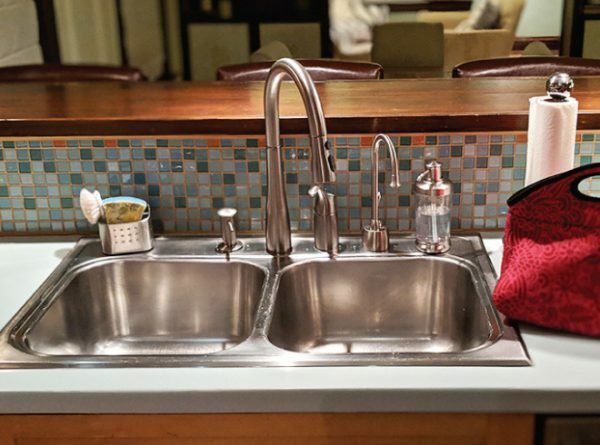 When I give the kitchen and the sink a good shine before I go to bed, it makes the tomorrow’s early morning something to look forward to. What a routine packed day, huh?! How about you? Do you have any key routines that help you keep it together? Or maybe you’d like to work on putting a few key routines into place. If so, I’d probably start with the afternoon/evening routines. Those two make a really good foundation to build from. 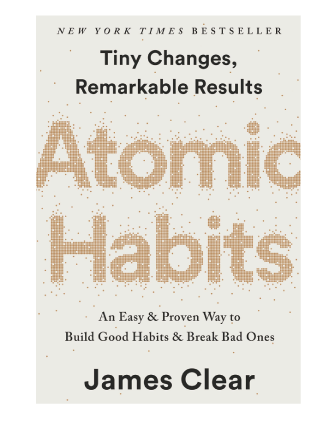 And if you’re interested in reading more about building positive habits and routines into your day, these are a few books I’d recommend checking out. Wouldn’t it be super awesome if you had teachers constantly knocking on your door throughout the year, excitedly asking to work with you in a coaching cycle? I’d love to say this is my reality throughout the year, but it’s not. Teachers get busy, and stressed, and overwhelmed, and sometimes getting excited about working in a coaching cycle is the last thing on their minds. So, what to do? Well you don’t just sit around and wait for the excited knocks to come, feeling defeated when they don’t. You stay positive, get out there, and continue to nurture the culture of coaching you’ve worked hard to create. One way I worked to put this move into practice earlier this week, was by sending out an invite. Yep, a coaching invite. There were a few things I worked to keep in mind in creating this. Let me walk you through my invitation creation process. Make a short animated video as an invite. Create an colorful brochure using Canva, export it as a PDF, and embed it in your email. Design a color print-out with some fun graphics, maybe throw in some candy, and drop it off in teachers boxes. Build an illustrated newsletter using Smore. You like being given some choices with your learning, and so do teachers. They may be up for working with you, just not right now. 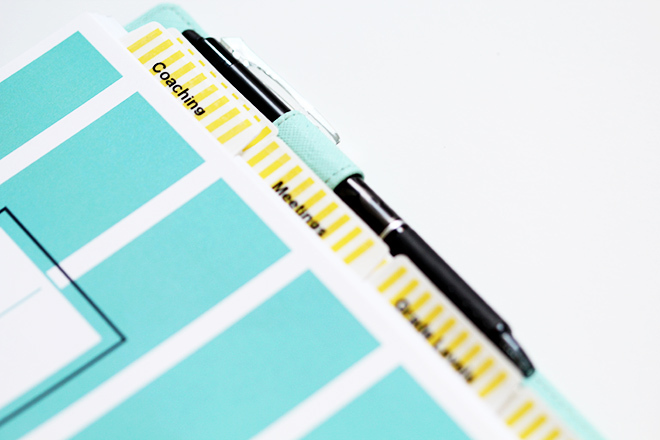 When creating your invite, pull out your Time & ToDo Planner. 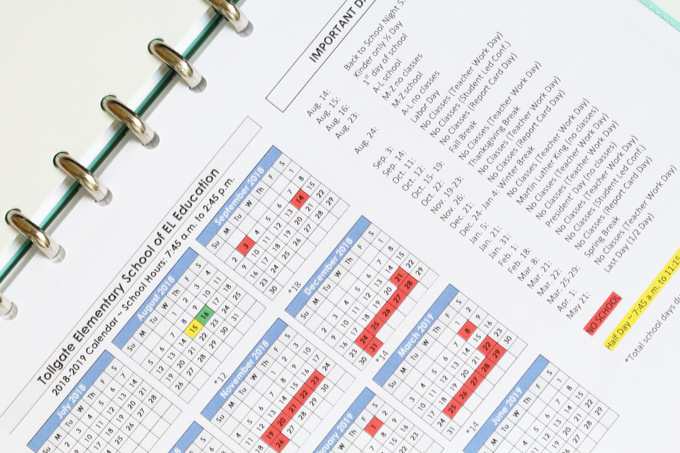 Consider what chunks of time you have for the remainder of this year to work with teachers, and which periods of time work best, given breaks and testing schedules. Based on this, provide options for teachers around the time period when they might work with you. Do teachers in your building even have a solid understanding of what coaching with you will look like? The time commitment included? How it will benefit them? Even if you have worked with teachers before, you may have changed some things, or maybe it’s just been awhile. Not to mention the new teachers who may be in your building this year. Either way, this could be a good opportunity for you to revisit what a coaching cycle actually is. The overview is brief! Think about how to distill the work you do down down to 3-5 major bullet points, and share this in your invite. Teachers will naturally have wonders, worries, or concerns about working in a coaching cycle that may be preventing them from signing up. Take a minute to think through what these might be. Great. Now consider how you might tactfully address 2-3 of these, very briefly, in your invite. I have a lot going on, is this going to feel like something extra added to my plate? 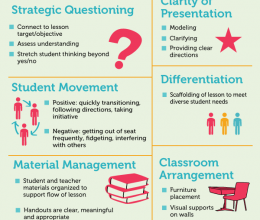 Can you tell me a bit more about what “coaching in the classroom” will look like? I’d love to work in a coaching cycle with my team. Is this a possibility? 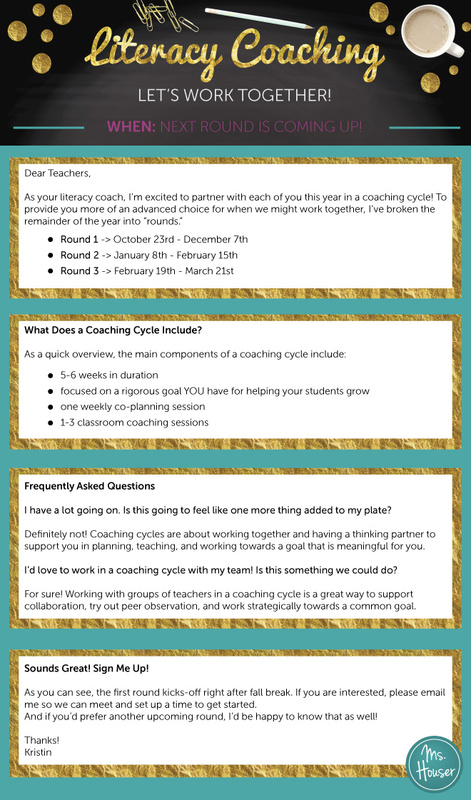 Consider how you’d like to structure your coaching cycles throughout the year. How many rounds will you do? How many teachers can you work with in each round? Also consider teacher needs. 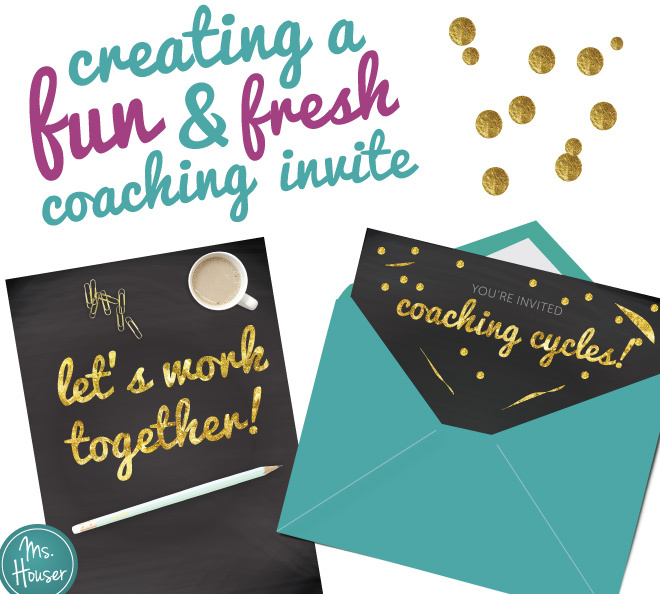 Send your invitation out well before you’d like your next cycle to start. Give them some time to process your invite, and respond. I decided to send my invite out two weeks before fall break, as I’d like to start my next round right when we get back. Oh, and don’t forget to give yourself plenty of time to actually create the invite. It took me a good few hours to draft, edit, and finalize mine. OK, so here’s a look at what your invite might look/sound like when it’s all put together. You sent it! Great job! But…you’re not done there. Just because you sent the initial invite doesn’t mean every teacher will be banging down your door with a “YES!” RSVP. You will likely have to follow-up with teachers. 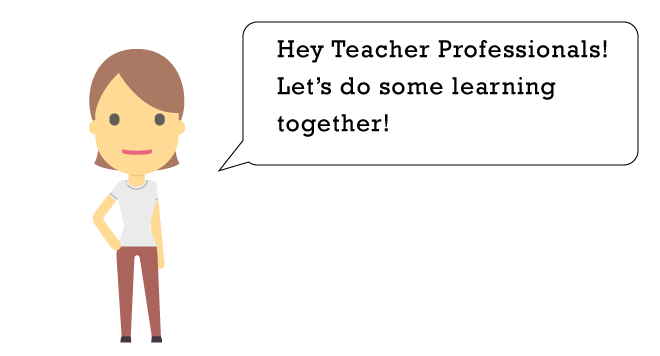 Plan to follow-up personally with the teacher who you would like to work with but hasn’t responded yet. I like to think of my coaching invite as a conversation starter. So, no pressure here, just follow-up with them to chat about what might be on their minds for coaching. 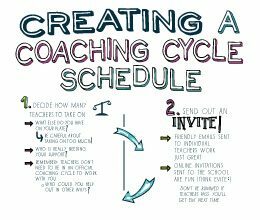 I hope this post gave you some ideas for how you might think about how you work to invite teachers into coaching cycles with you. Let me know if you have questions in the comments, otherwise get those fun and fresh invites going! As I was walking through Target the other day, I got all excited when I came across the “back to school” aisle. 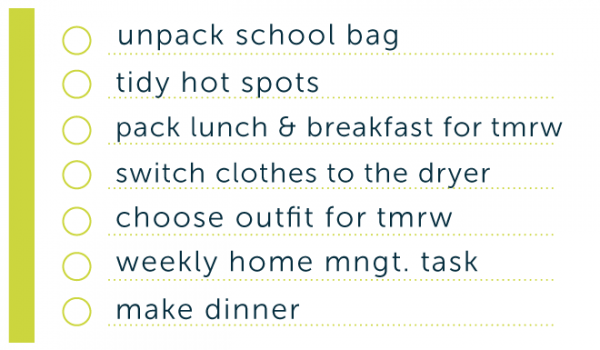 I’m pretty much like a little kid when it comes to back to school prep. I love it! One of my back to school purchases for this year was a new discbound agenda to use for setting up my Coaching Kit. 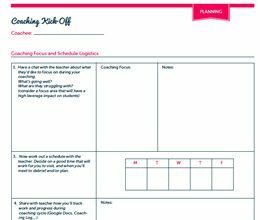 I’ve been using an Instructional Coaching Planning Kit now for the past several years, and it’s one of the most important tools in my “stay organized” coaching system. For the past few days, I’ve been working on getting mine set up for this year, and I thought I’d give you a little walk-through of how it’s coming along. As I mentioned, I highly recommend using a discbound notebook for your Coaching Kit over a clipboard, three ring binder, or really anything else. They lay flat, and fold over nicely which comes in so handy when I’m in classrooms taking notes, meeting with teachers, or need my PD agenda ready to reference. I made a customized cover for myself to place in the front. 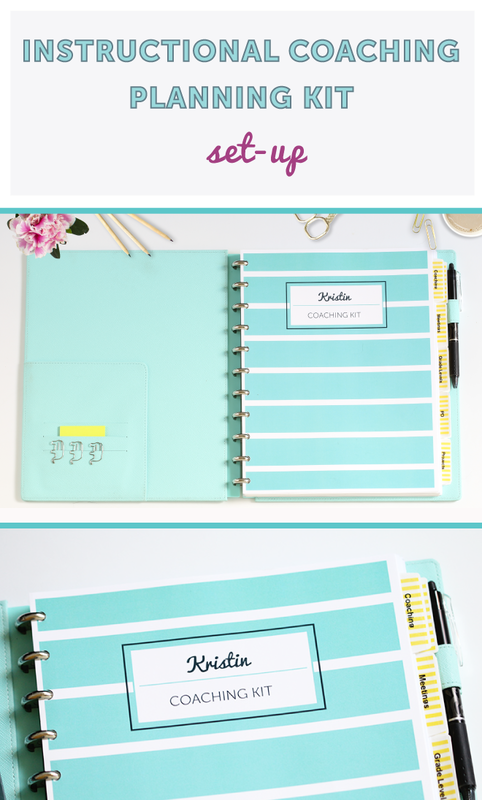 I chose Turquoise to compliment the Ombre Time & ToDo Planner I’ll be using this year. 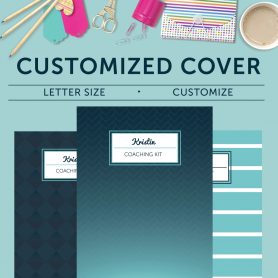 In the shop, I’m offering customized covers if you’d like one as well! 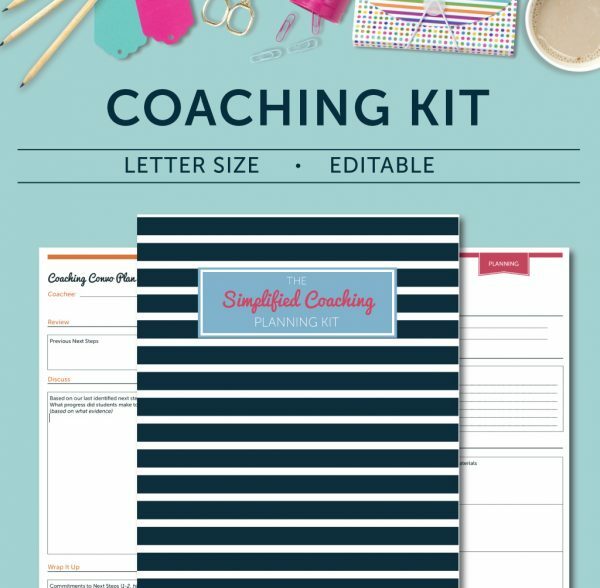 The Coaching Kit’s table of contents has a suggested order for setting things up. However, feel free to identify and order your sections in whichever way makes the most sense to you. And remember, you can always tweak and adjust as the year goes on. I have both “school” and “personal” tabs in my Kit, as I find that my school and personal lives overlap in many ways. 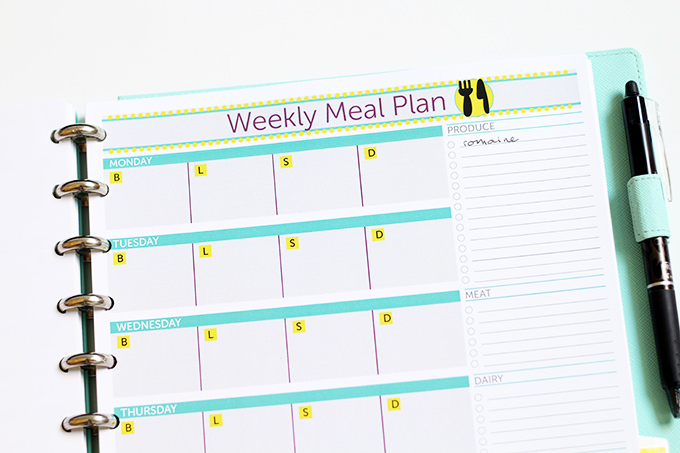 For example, I like to keep my Weekly Meal Planning sheets as a section, so I can stay on track with my goals for the week. For the tabs themselves, you can use something as simple as white Avery label dividers, or you can purchase discbound dividers. To add a bit more color, I also like to use Washi Tape for making my labels. Behind my cover page, I have a Vertical Year at a Glance. 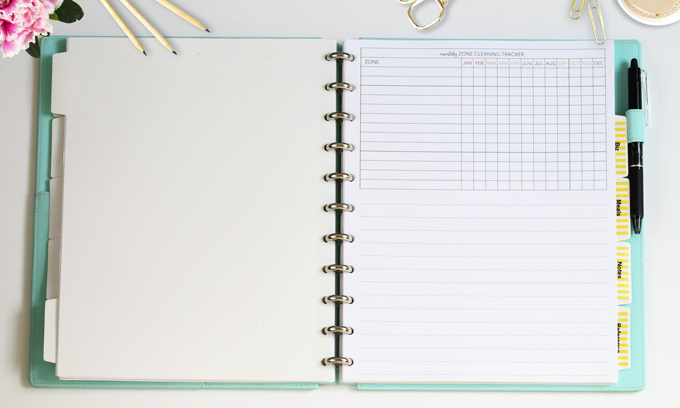 While I do keep all of my appointments and dates in my Time & ToDo Planner (TTP), I find that it is also helpful for me to have this Year at a Glance in my Coaching Kit for those occasions that I may not have my TTP on me. I also like the friendly overview of the school year that this calendar provides. 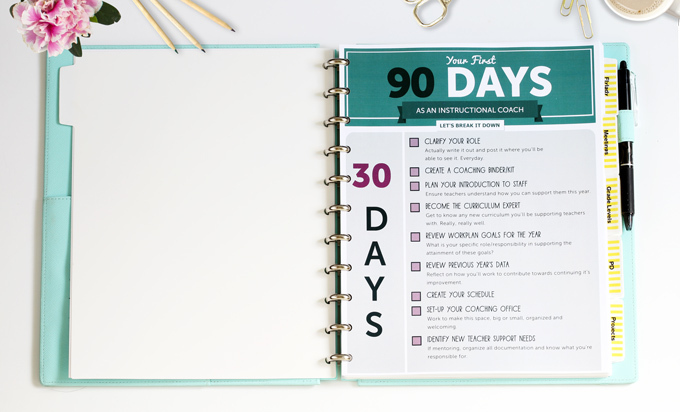 On to the first tab of my Kit, “Coaching.” To start, I printed off a copy of my First 90 Days as a Instructional Coach printable. Even though I’ve been coaching for awhile now, I still find it nice to have this as a reference to help guide me through those first weeks/months. 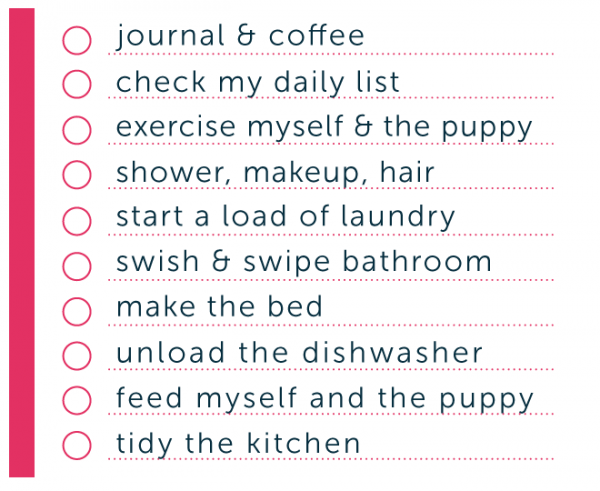 I also plan to use this printable to help me establish goals for the 1st Quarter. Goal setting I feel, is a great practice for all of us to take on in both our personal and professional lives. Having clear goals helps me stay motivated and driven in my work. Although I won’t be starting any official coaching cycles the first few weeks of school, I’ve printed off a copy of my Coaching Schedule printable so I’m ready to go when I meet with our principal to discuss teachers to work with. The next section is reserved for Meetings. Whether for an after school staff meeting, our weekly coaches meeting, or an impromptu meeting with a teacher, I have printed off a few of my Meeting Notes forms so I’m ready to go. 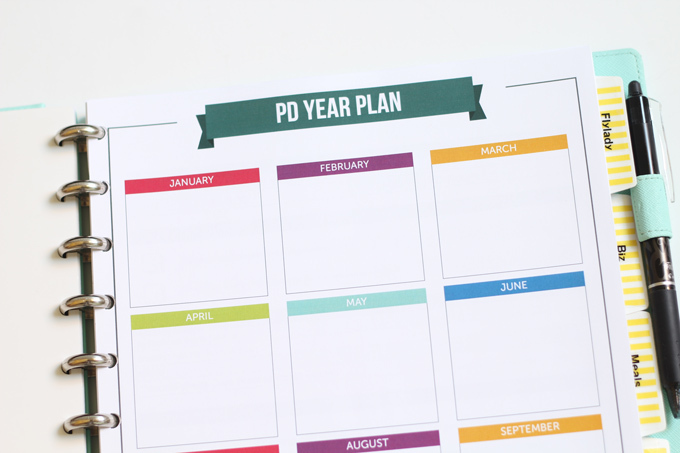 In my PD section, I have a copy of the PD Year Plan from my PD Planning Kit. It helps me to have a visual of PD scheduled for the year, as well as any sessions I will be responsible for facilitating so that I can give myself plenty of time to plan and prep. I also have my agenda printed and ready to go for our first PD with new teachers this week! I decided to include a Projects section this year, as I often find myself taking on different kinds of projects throughout the year. 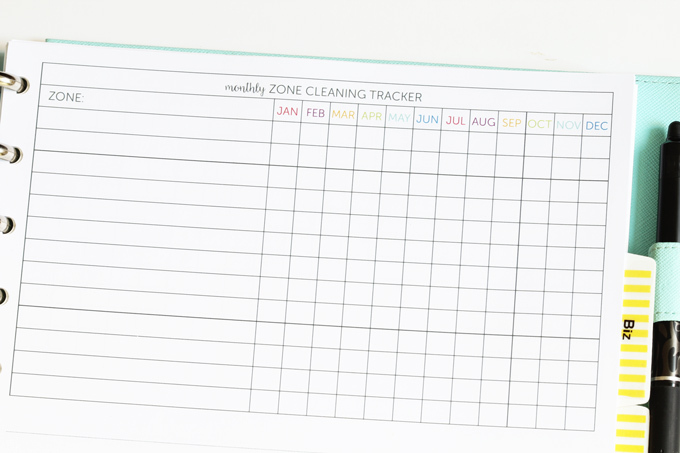 I use this sheet to help me plan, set timelines, and keep track of the different tasks connected to that single project. As I mentioned earlier, I do keep my Weekly Meal Planning sheets in my Kit. 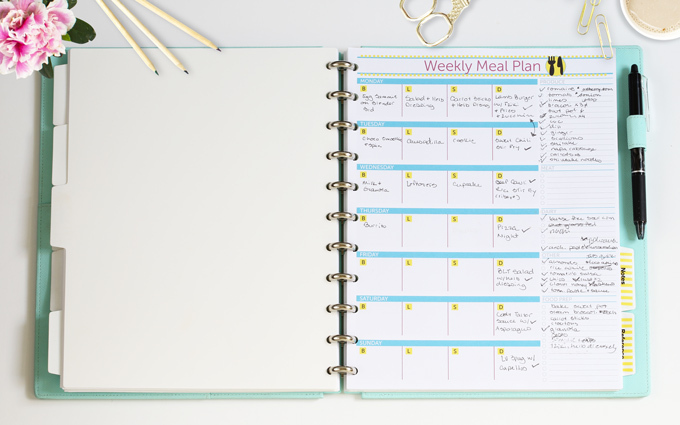 I actually find I glance at my meal plan rather frequently, either to remind myself of what we’re having for dinner and what I need to do when I get home, or to quickly jot down an item I’ve remembered that I need to get at the store that week. My Notes section is reserved for any free form planning or brainstorming I might do during the day. And lastly, I have a Reference section. As of now, I have our school calendar for the year printed off, a Resource Checkout Form which I know I’ll soon need, and an Idea Tracker. 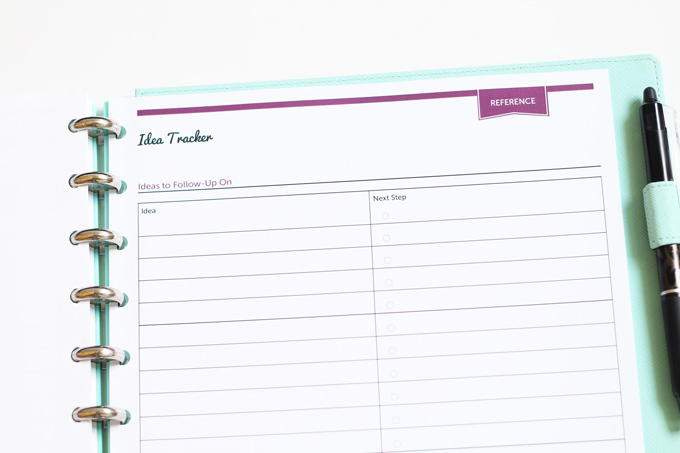 I use my idea Tracker to capture all those random thoughts/ideas that come up during the day, which don’t need to be recorded as a to-do in my Time & ToDo Planner, yet I don’t want to loose sight of them either. So there it is! Having this ready to go for school beginning this week, has helped me feel much more relaxed and confident in starting the school year. 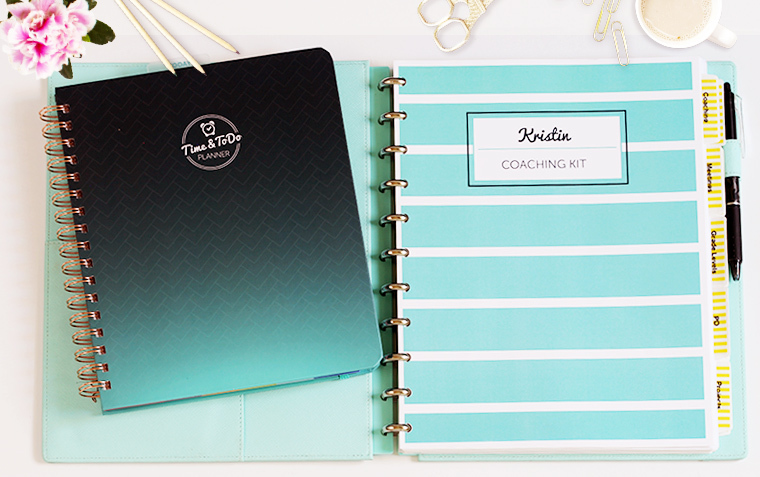 There will be a lot to do, but my Coaching Kit will work its magic as always in helping me to stay organized. 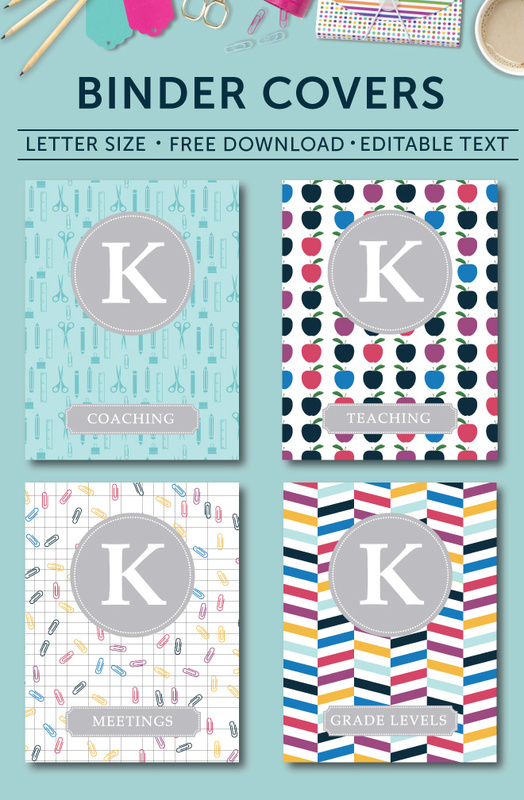 All of these printables can be found in either my Coaching Kit, or other listings in my shop. Check it out, and please let me know if you have any questions! Talk soon, and thanks for reading! Say what?! Binders?! 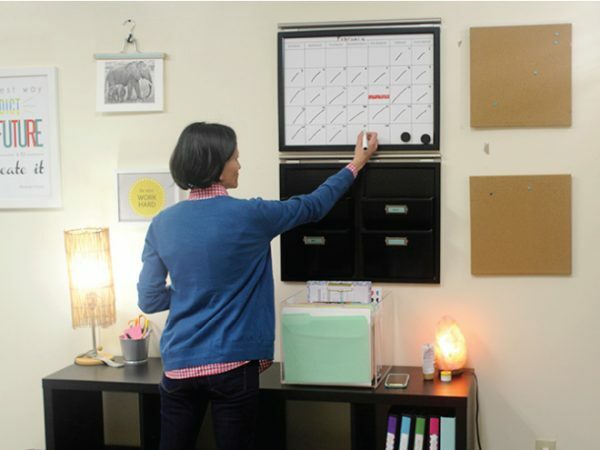 Aren’t those a totally old school way to stay organized? Well, I guess it depends on who you ask, but for me the answer is — Uh…no! Let’s chat. At the end of the year, one thing I like to do is reflect back on all of the systems and structures I used to help me with my work and stay organized. I’m pretty much always tweaking, revising, or trying out different ideas. One of the new systems I tried out this year to keep all of my notes organized, was a binder system. And I loved it! Paper helps me think, process, and solidify all my various types of notes much more deeply than my laptop. As explained in the article, “The Pen is Mightier than the Keyboard,” taking notes on your laptop may result in shallower processing and less effective learning. In using pen and paper to take observation notes, coaching meeting notes, or planning notes, you’re forced to more thoroughly process the information coming in and record key takeaways you know will be valuable, versus just transcribing everything. And for coaches, this is super important!! I would also argue that paper notes support focus, and are less distracting than having a screen in front of you all the time. OK, paper vs. tech debate aside, let’s talk binders. I always thought binders were kind of dumb and annoying because the only ones I had ever really used were the standard plastic, flimsy ones. Then I watched a video of Alejandra (fellow neat freak!) 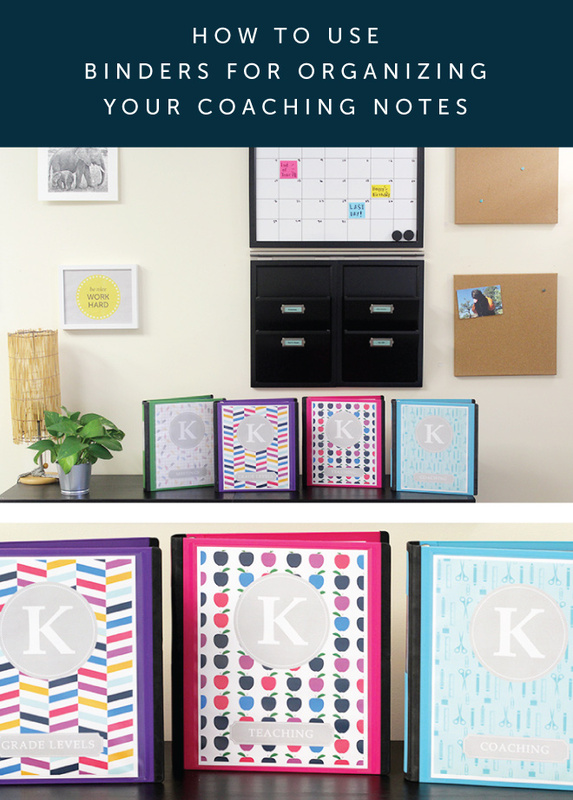 share how she uses Better Binders to organize her home office. She got me thinking that these binders could be the ideal tool to help me keep my paper notes and plans organized. I headed to Staples, grabbed a few, and found that they would be the perfect fit for my binder storage system. Each binder would also have different sections. So for the section tabs, I went with the Avery Ready Index Tabs. They’re super light weight, so they don’t take up a bunch of space, and I like how they provide a friendly table of contents view right up front. 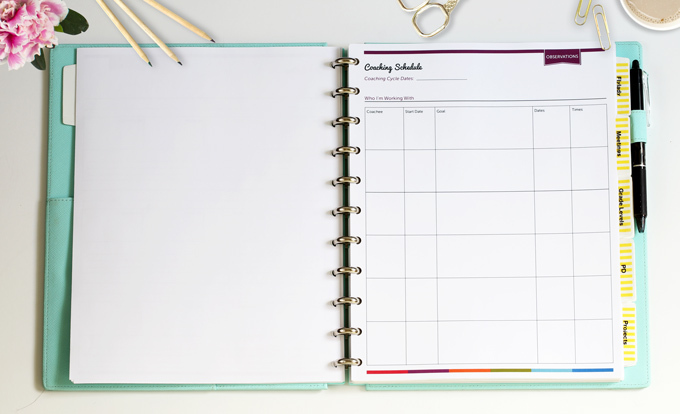 OK, now that we’ve gone over the set-up of this binder system, let’s talk about how I actually use them to keep me organized! In my Coaching Kit, I have a section titled, “Daily Materials.” At the start of each day, I’ll plan out what notes, observation forms, materials, etc. I’ll need for that day. Some of these notes/materials are often a continuation of work from the day before or earlier in the week. 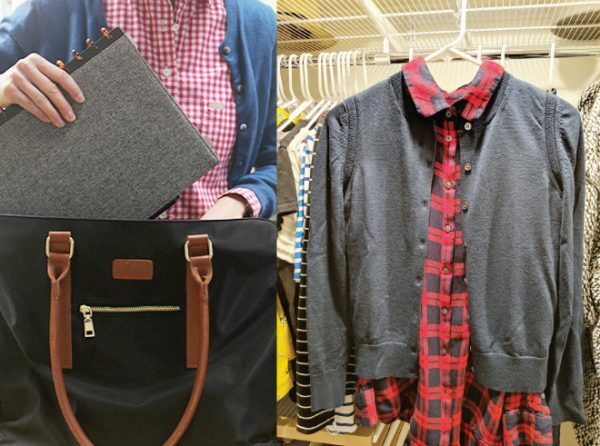 When this is the case, I’ll reference the appropriate binder, grab what I need, and quickly be ready to start the day. Then at the end of the day, I’ll go through all my “Daily Materials” notes, check for any to-dos to add to my Time & ToDo Planner, then file the remaining notes back into my binders. This overall process ensures that my notes remain active and alive, rather than being buried in a notebook and forgotten about. I’m constantly reviewing and reflecting on past work which helps me to more accurately plan upcoming work. Furthermore, it’s hard for me to miss a “to-do” captured in my notes since this system of review just doesn’t allow it. I’m feeling pretty good in my end of year reflection, as this will definitely be a system that I use again next year. And speaking of next year, I’d love your feedback! Thanks so much, and hope your year is winding down well! If you have any questions, always feel free to ask in the comments. This is usually what’s running through my head when I’ve attended a bad PD session. And what do I mean by bad PD? I mean irrelevant, impractical, poorly managed, and (gasp!)…boring!! There’s pretty much nothing worse. 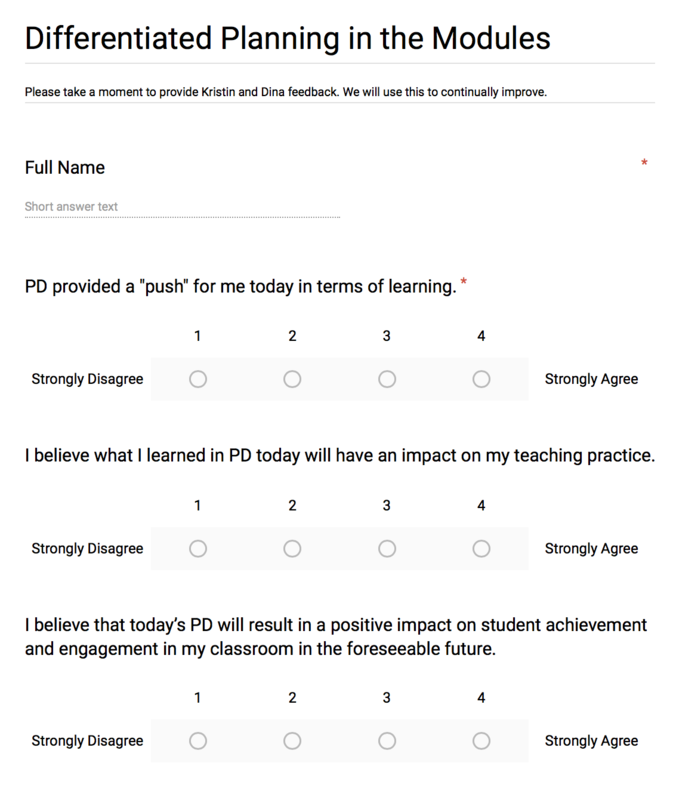 So when you know how annoying bad PD can be, and you happen to be the one planning for the work, you REALLY want to make sure teachers are feeling engaged and excited to be there with you. 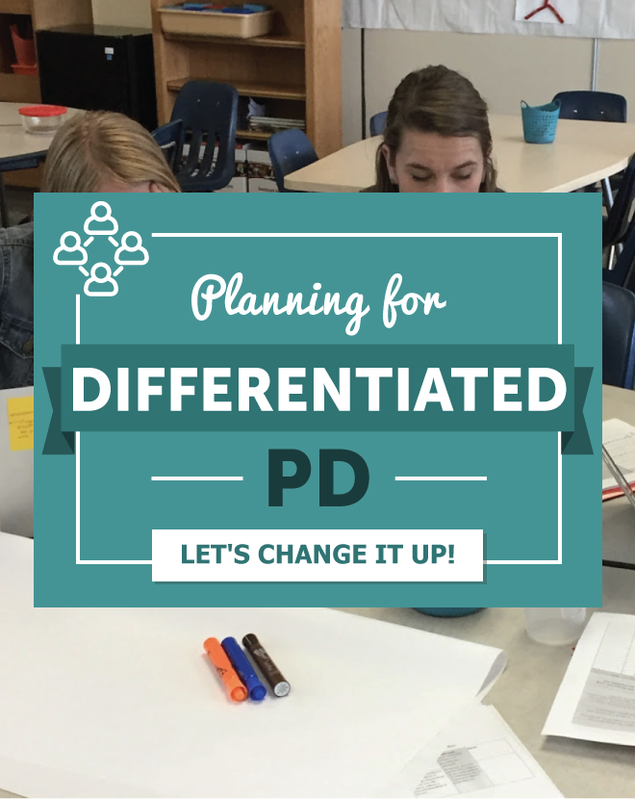 As I’m currently working through a differentiated PD cycle myself, this is a topic I’ve been thinking about lately, so I thought I’d share some thoughts. And because it’s always more fun to see thoughts/ideas “in action”, let’s do this with a case study! What follows are the steps we worked through to create our Differentiated PD sessions. It’s always flexible, so take a look, and let it spark some ideas for what you might do. Here’s an idea. How about asking teachers what areas they feel they need more support in, or are interested in learning about? Sometimes we (admin/leadership) think we know what’s best for teachers. We might make assumptions on their behalf because “the data says” or “it’s their first year”, which isn’t really the best way to treat teachers as professionals and engage buy-in to learning. Yet data is important, and PD should be data driven. But it doesn’t mean that teacher voice and choice isn’t also important. What we did is ask teachers what areas they would be interested in learning more about, that were connected to our school’s Work Plan goals. Teachers then ranked their level of interest for the different areas provided. Small groups is usually a good way to go when thinking about differentiating PD. Though there are definitely some cool ways to differentiate-it-up with technology. Anyhow, once you’ve got your groups formed, you can start thinking about how to divvy-up the facilitation roles. 3. 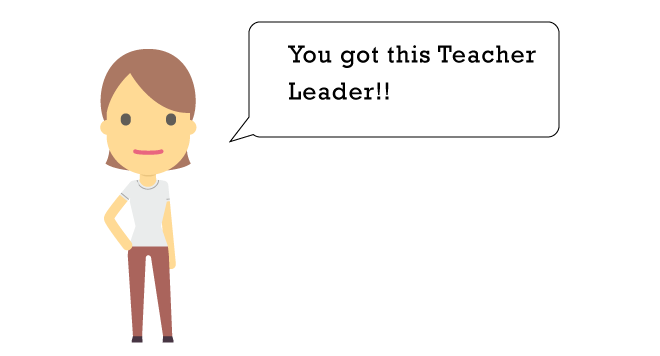 Calling All Teacher Leaders! This is kinda what I feel like we did, when we asked on the Inquiry Form if teachers would be interested in facilitating/co-facilitating any of the Learning Cohorts. And the response was a little underwhelming. Not because certain teachers didn’t have the know-how or interest, but because facilitating adult learning can be outside of their comfort zone and teachers are already super busy. So this may feel like one more thing. In response to these challenges, you may have to more actively recruit those teacher leaders on staff. Let them know that they’re the Bomb(! ), they’ve got a lot to share, and you’ve got their back in planning and facilitating. When you have more than one PD group, several facilitators, and a range of session dates you’ve got to stay organized! Thanks a million to our school designer who took the lead on this and created two guiding documents for all of us to stay on the same page. Continue to ask for feedback and differentiate along the way. 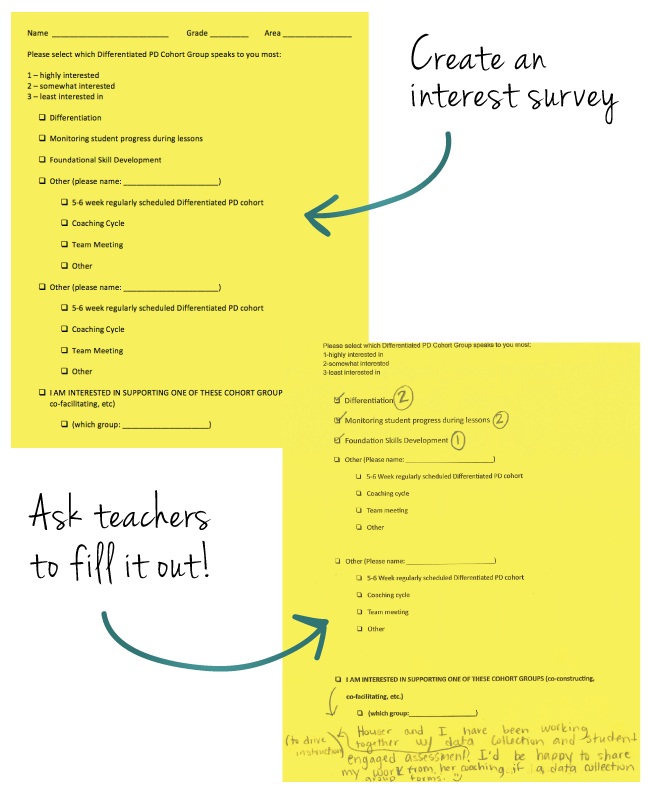 We have a total of 7 Learning Cohort sessions planned, so it’s important that at the end of each session we ask teachers to fill out a quick exit ticket, so we know what to add/skip/adjust for the next session. After all this awesome learning going on in differentiated groups, plan a final session to come together, share their work, and celebrate! 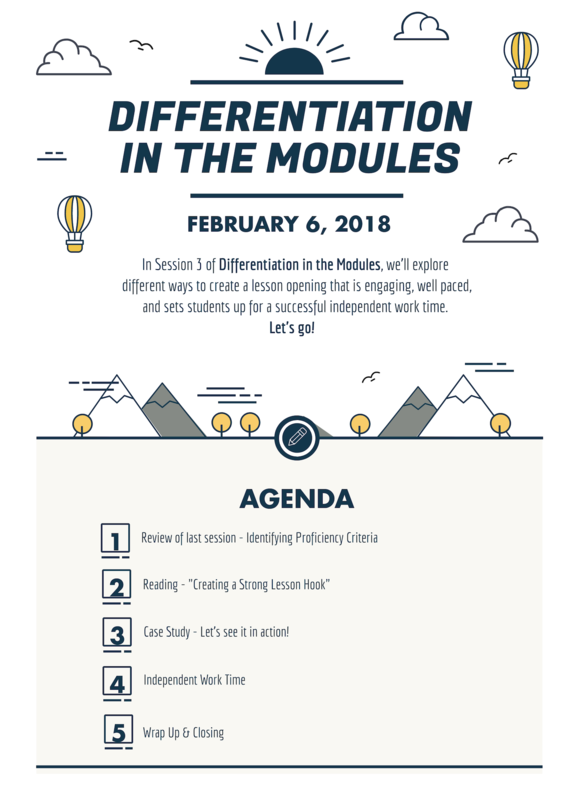 Hope this post gave you some good ideas to think about how you might implement or improve any differentiated PD structures at your school(s). 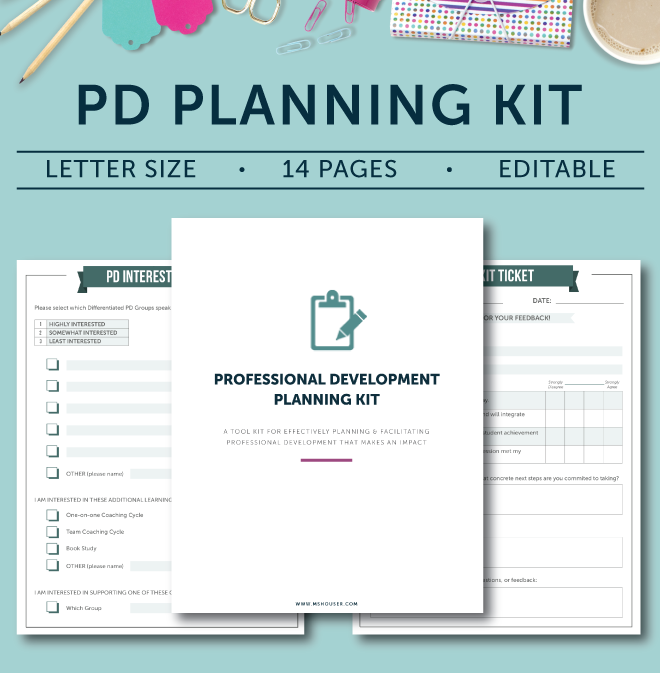 And if you’d like some more support with planning and prepping PD, check out the PD Planning Kit I’ve put together for you! I just finished reading a really good memoir called, “Born to Rise .” It’s the story of educator Deborah Kenny, and her journey as the founder of Harlem Village Academies. I finished the book feeling inspired and renewed. Reading this book made me think about the importance of sharing stories. And then a podcast interview I heard this week with Tom Rademacher, author of “It Won’t Be Easy: An Exceedingly Honest Book About Teaching,” pretty much said the same thing — You’re an educator. You have cool and interesting things to talk about. No matter where you are in your journey. He’s right. So, I’m sharing a story. Not my story, since I share a lot. But the story of another coach, who’s just starting out. Today you’ll hear Part 1, and we’ll check in with Part 2 and 3 as the year goes on. Can you share a bit about your background? What got you interested in coaching? I worked as a classroom teacher for 7 years, in first and second grade. I first started to get interested in coaching/teacher leadership when a teammate and I had the opportunity to lead a PD session together…I had a blast! At that point I started to realize that I really liked, and was interested in teaching adults. When I was teaching, I was entrusted a lot as a lead teacher and was given opportunities to share classroom strategies with other teachers. I really enjoyed these discussions! I also really enjoyed the coaching cycles I participated in when teaching. I really learned a lot through this work, and liked the structure of it. 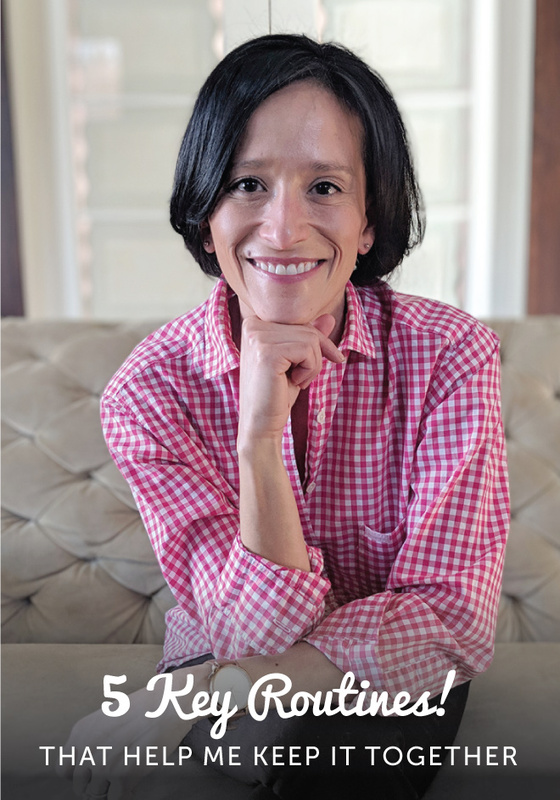 It felt like a partnership…coaching felt “friendly.” I felt very free to share and learn, and it was a great opportunity for me to really grow. When I decided I needed to leave my position to be a mom, my principal invited me into a part time coaching role so I could continue to work. I was able to work alongside a new teacher and support her with classroom management. I loved it! Though I was only able to continue that year, I knew I would want to do more when the time was right. After a two year break, I am now working as the school’s part time math coach. What are you really loving so far about coaching? I love that I get to work and learn with teachers in the whole building, and not just my grade level. This is fun! But this can also feel like a challenge at times…as a teacher you work so closely with your team which feels comforting and great, and as a coach it’s different. I’m able to work with Kristin and our principal, but it still feels different and scheduling your day and time is different than when I was a teacher. I also really like the facilitation work I’ve been able to do so far this year. 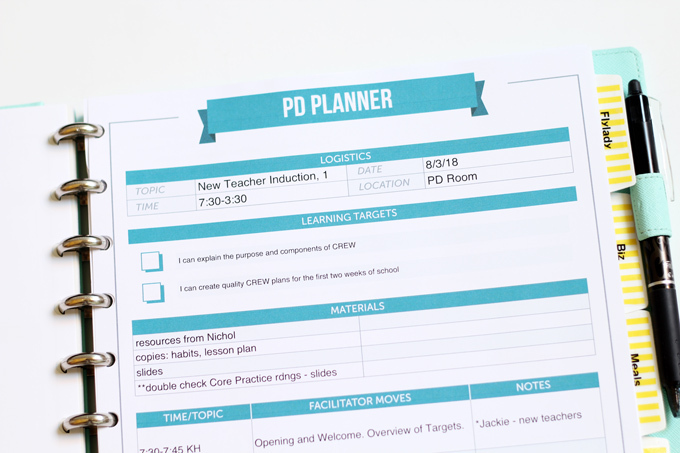 Planning for PD is in many ways similar to planning lessons for the classroom. I like being a part of the school’s planning process for PD, and having a voice is great. Working with adults is different from working with kids and can be hard, but I like it! I’m also able to participate in a weekly coaches meeting, which feels like important work. I work to keep students best interests first and foremost in mind, and provide a voice for teacher support in the building. What has been your biggest success or celebration this year? I’m working in my first ever coaching cycle right now, and that has felt like a success so far! Kristin went with me to our Kick-Off meeting, and I felt great afterwards. I’ve worked really hard at making sure that the feedback I offer is specific and manageable. I notice a lot of things when I’m in her room, so I really have to zoom it in and not overwhelm her! And so far the feedback I’ve shared has been well accepted. What areas are you working on improving at this point in your coaching journey? 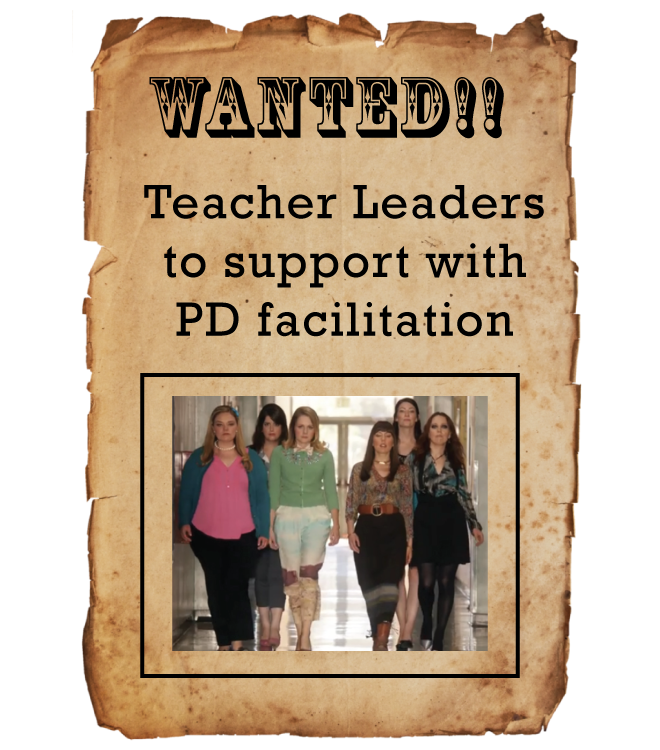 Facilitation for PD. Parts of the facilitation work I’ve done so far have felt successful and have felt like “me” and what I envision successful PD to look like. I’ve had good models before as a teacher and want to replicate what I’ve experienced, but I also want to be true to who I am and my style of facilitation so that it feels just right. I’m still working on figuring out what that exactly is (! ), but I’m making steps forward with each time I do it. In planning for my first ever whole staff PD I felt overwhelmed, but I told myself, “You can do this!” I asked for feedback and reflected with Kristin, did a lot of planning and preparation, and my efforts payed off! I feel like I’m getting better and better. I also appreciated the opportunity to get started with practicing my facilitation skills right away! Our principal gave me a chance to get in front of the staff in a smaller role at first, and I built up from there. 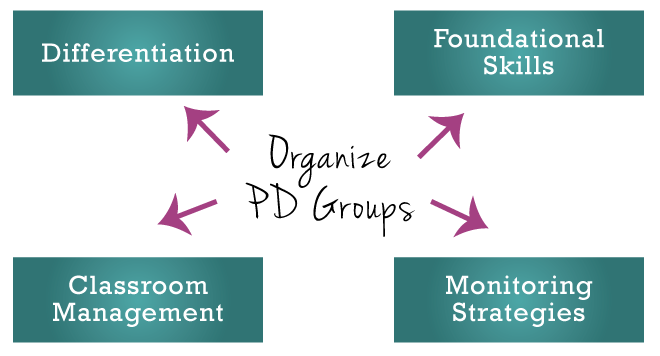 I’ve learned along the way that I really need a good amount of time to plan for a good PD! I’m not sure I gave myself enough time at first. Another challenge has been rolling out a brand new curriculum. There is a lot to learn! I’m learning as much as I can as fast as I can, but it still feels overwhelming at times. What has been most supportive to your learning so far this year? Our leadership has been so supportive. I’m grateful. I don’t feel like I’m drowning, and things feel manageable! Kristin has been a great partner for me too. She’s someone who has gone through it and has collected a lot of wisdom along the way. She helps me with bite-sized goals, what to work on and think about. I took her Coaching Workshop, printed the resources, and used it a lot at the start of the year! What are your goals moving forward in this next quarter? I’d like to keep working on reaching out to other teachers, who for different reasons, I may feel are a little outside of my “comfort zone”…some teachers may have a different personality than me, may be a bit quieter, or I just don’t know them yet. I’m working really hard to get into everyone’s room, and also make connections with teachers…by just sitting and talking with them at lunch, or at PD! If you were able to share any advice with another new/aspiring coach, what would you say? Tackle things that you know you’ll have some success with. Classroom management is a strength of mine, so I felt good about providing coaching support in this area early on. Too much “new” would have felt overwhelming for me. I think it’s important to try to find a balance with “new” and with what feels comfortable, so you experience some success!! And look out for those successes!…you know that excitement you feel when you see your class is starting to get something? ?…seeing a teacher/classroom you’re working with starting to put into place what you’ve been working on in coaching, feels just like that!…it’s great! Leadership and having a mentor is really important. Do what you can to find someone to support you or work with. Thank YOU!! I’m excited to continue to tag along with you throughout this year, and share your “to be continued” story with the MsHouser community. Approach every day, every experience, every conversation with a “Beginner’s Mind” — there’s always something new to learn and be appreciative of, if you’re open to it. Collaboration with school leadership is important. You probably have a story too. Maybe you could share it? 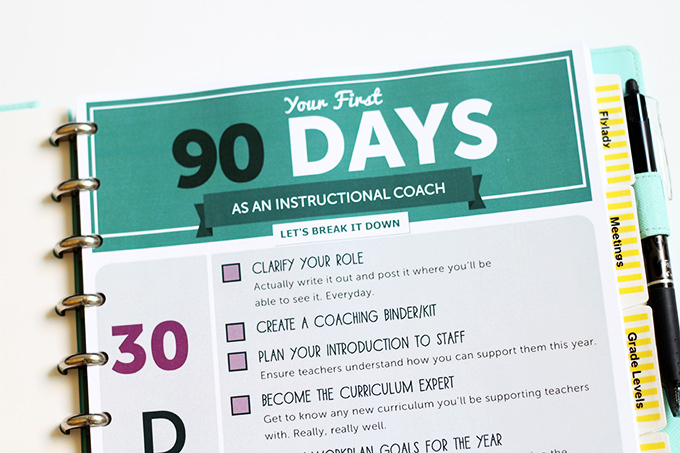 Get the easy to follow, step-by-step guide of your first 90 Days as an Instructional Coach. Thanks for reading. Talk to you soon! Because today I have a fun little surprise gift to share with you! What is your #1 tip for preparing for a successful year as an instructional coach? And here are all of their thoughtful answers, full of wisdom and experience. Enjoy! This is going to be good. Get clear on your personal and professional hopes, dreams, and goals for the year: What do you really hope to be able to say about the year next June, when you’re heading out for summer? What would be an indicator that you’d had a great year? How do you want your colleagues, coachees, and supervisors to experience you–what would you like them to say about you? And then map this goal on to what the children you serve need you to be and need you to do. Let their needs inform your dreams, hopes and goals for the year. My #1 tip for preparing for a successful year as an instructional coach is to seek out or form a group of coaches, a “cohort”, OUTSIDE of your school and/or district. Such a group will provide you with a safe environment to share joys and insecurities, a place to learn (your own PLC group of sorts) and get ideas from neighboring schools, and a chance for some quality “drive time”. First of all, especially if you are a first-year coach, you really need a support group. You have walked away from the comfort of your classroom and chances are you really don’t fully understand your new role. A coaching cohort will provide you with a safe place to share those insecurities, but also a place to be reassured as others share their joys as well. If you are lucky enough to have a group with mixed levels of experience, your colleagues will be able to reassure you. Trust me, they felt the same apprehension during their first few days and weeks until they got into a groove. I was certainly blessed with wisdom from coaches that had been in the role for three years within my group. Secondly, this coaching cohort will become your own professional learning community (PLC) of sorts. While you might not dive into data like a traditional PLC group would, you will certainly share what is working in your schools. Sharing roles and duties as coaches, curriculum resources, and instructional methods are all part of being in the cohort. This is a great way for new coaches to contribute to the group as EVERYONE has something positive to share from their schools/districts. And chances are you will be TRAVELING to meet with your group. Believe it or not, that drive time is absolutely one of the biggest benefits! My first year my two fellow new coaches and I drove 45 minutes one way to attend cohort meetings set up by our local state education agency. That time together was probably the BEST part of those meetings as we were able to use that time to talk about joys, insecurities, and then on the way home, ideas gleaned from the meetings. My second year, I traveled just 10 minutes down the road to a local group that would meet during a “working lunch” 90-minute block of time. That 10 minute drive time was good for me to think through what I had accomplished so far, what I needed to get done yet that day/week, and then ponder ideas gleaned from the meeting. Drive time is like built-in reflection time, something we don’t get enough of as educators. So, if you have access to such a group, make sure to JOIN it. If not, do what a few local coaches did my second year, take that bull by the horn, reach out to neighboring schools or districts and form your own “Coaching Cohort”. It will be one of the best things you can do to take care of your own professional learning and personal well-being as a new instructional coach! My number one tip for preparing for a successful school year as an instructional coach is to organize all of your resources into a binder. By having all of your important documents in one place, it makes it easy to reference when needed as well as light enough to grab on the go! 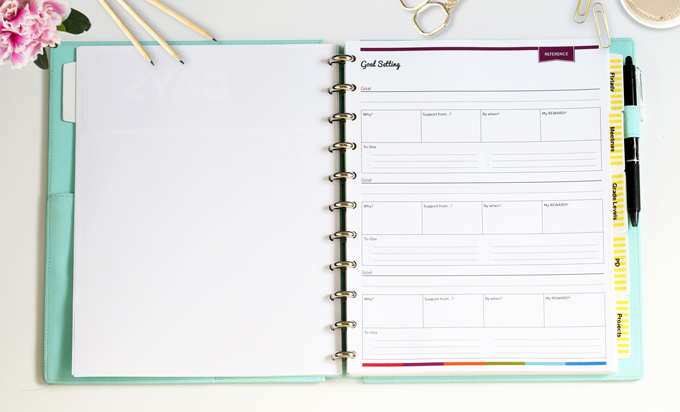 A coaching binder will grow as the year progresses, but there are a few documents you can include in it from the beginning. For example, curricular standards, teacher roster, school building map with classroom locations, master schedule, etc. 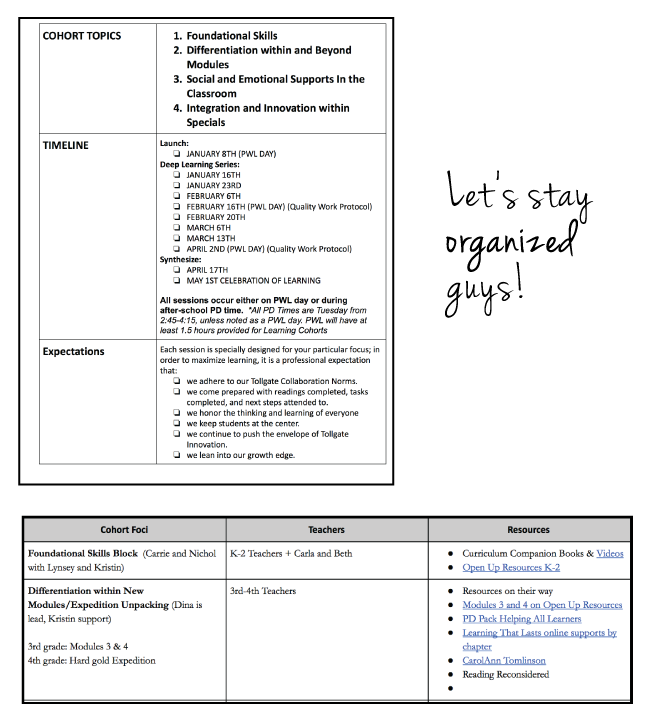 As you meet with teachers throughout the year, you will want to add sections for observations or meeting notes, feedback slips, debrief discussion prompts, data collection tools, rubrics, lesson plan formats, guides, visuals, etc. 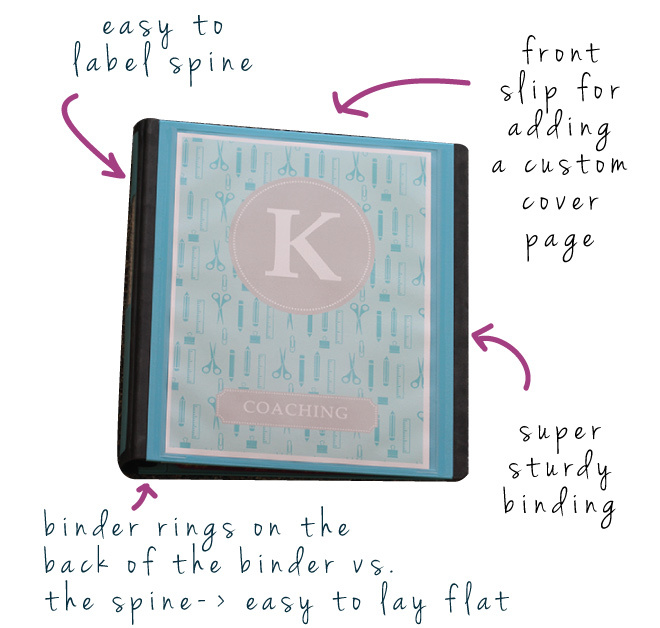 This binder will become your “bible” as you learn the ropes as an instructional coach. 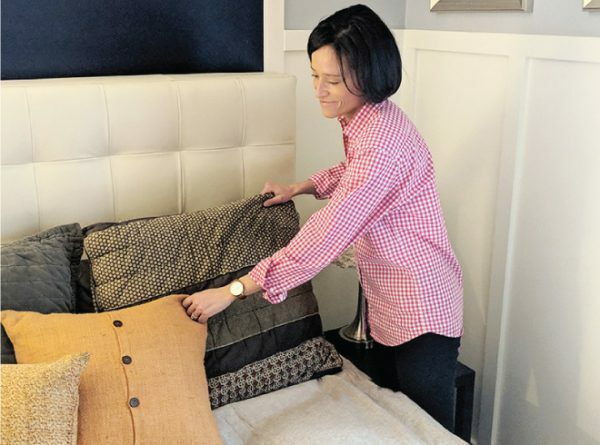 Don’t be afraid to make it yours and revamp and reorganize as often as necessary. Best of luck on a successful year as an instructional coach! It’s so hard for me to come up with just ONE tip to start the year! As I start year 3 as an instructional coach (I’m in my 3rd year – previous experience of 20 years in Special Education), I think that it’s important to have a positive attitude and open mind. Teachers are super overwhelmed at the start of a new year. So many things to get ready and set up, they have little time to think about themselves and what they truly want to work on as a professional. I like to make sure I have read up on all the books I have stacked up (still have a lot to do in this area!!! ), gather my resources from any conferences/trainings I attended over the summer (went to an amazing conference and am so excited to continue networking), and remember the little things (coffee, candy, and positive notes)! Teachers like that we remember them, appreciate them and all they do for kids, and are truly there for them to help them develop as a professional AND help increase student achievement. I always keep it real. I am learning with the teachers and love doing it. Hope this helps you all kick off a great school year! 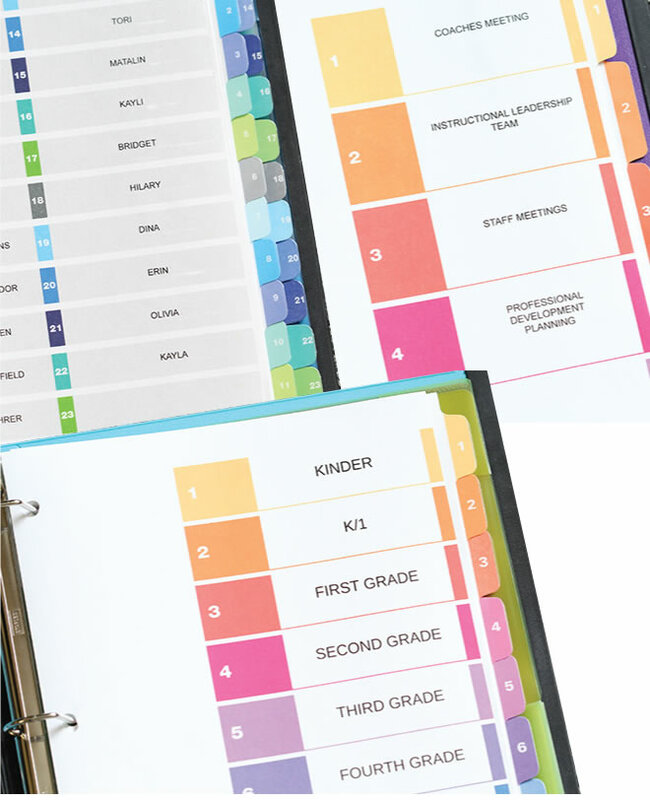 My #1 tip for preparing for a successful school year is being organized. Organization is such a simple thought, but one that can consume so much time throughout the year. 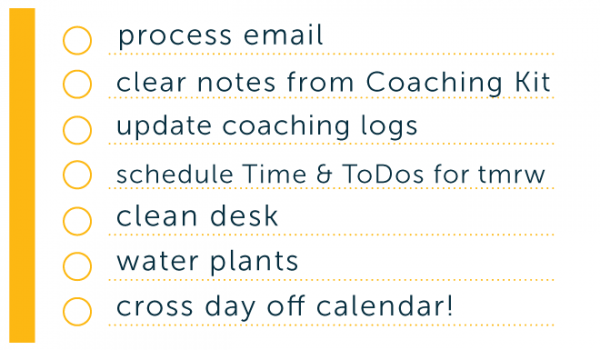 The Time & To-Do Planner truly helps me accomplish my organizational goal. 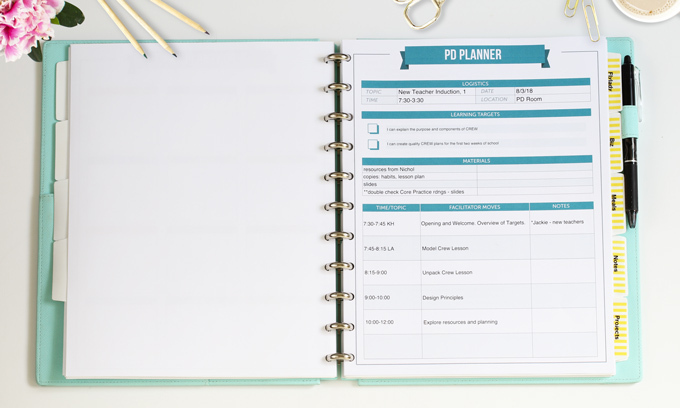 Key elements of organization include planning for professional learning, collaboration and coaching cycle planning, and my individual career development plan. Professional learning not only includes summer opportunities, but also researching and registering for professional learning throughout the upcoming year. Finding the best possible-learning opportunities to make me a more efficient and comprehensive coach takes time and planning. In addition, I use the summer months to invite teachers to attend these opportunities with me to spark greater collaboration throughout the year. By pre-selecting these opportunities earlier than later, early-bird fees often apply and it helps ensure that sub requests can be granted for teachers early. From a coaching standpoint, it also allows me to prepare for days in which I will be unavailable to support in-district teachers. 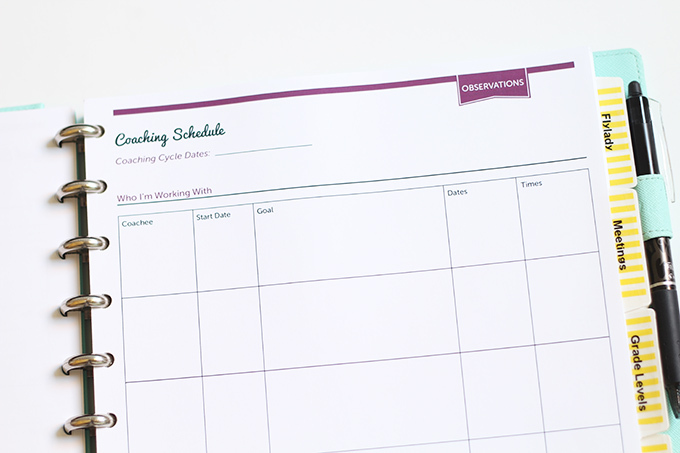 Planning and preparing for future upcoming coaching cycles also helps ensure organization. By gathering preliminary collaboration requests for this upcoming year this past May, I have been able to have conversations with teachers about their goals for our upcoming learning. Goals have allowed me to research associated instructional strategies and find additional curriculum and technology resources. 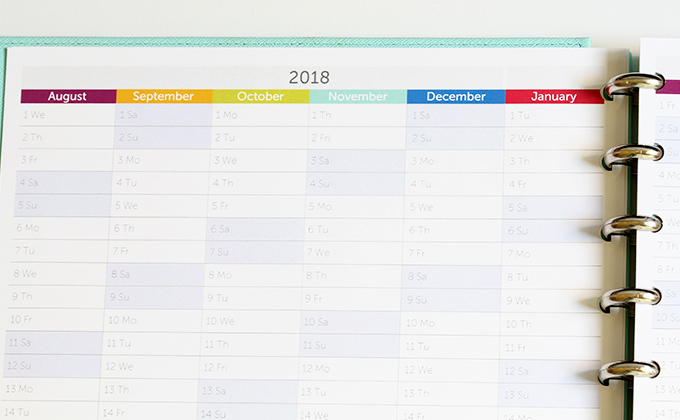 I’ve also been able to create a preliminary calendar for this year, which organizes cycles, and allows me to communicate my availability for additional collaboration. Take time to ask the right questions — deeper questions, when setting or revisiting goals with a client. As I completed my end-of-year reports and reflection with my coaching team in June, it became clear to me the difference in how coaching had impacted folks based, at least in part, in how intentionally I had held the goal-setting process. In “The Coaching Habit: Say Less, Ask More & Change the Way You Lead Forever”, Michael Bungay Stanier talks about what he calls the focus question, which I have found particularly helpful: “What’s the REAL challenge here for you?” Whether I ask that precise question or simply work from the intent behind it, it nudges my coachee and I to pause, look beyond what comes up first, and dig deeper as we consider the focus of our work together towards meaningful outcomes. It keeps us from rushing into committing to the wrong goals, and it leads to a work plan that the teacher is more likely to be invested in co-creating, implementing, and refining. Slowing down at the beginning goes contrary to everything in my nature for the beginning of a school year, which is to want to jump right in and implement systems! But it’s so worth it for me, the teachers I support, and their students to take the time to uncover what’s really core. 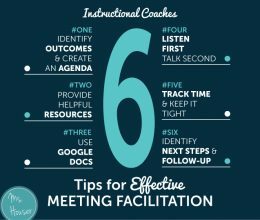 So, my #1 tip (ok, maybe my top 3 tips) on how to prepare for a successful year as an instructional coach is to organize, prioritize, communicate! 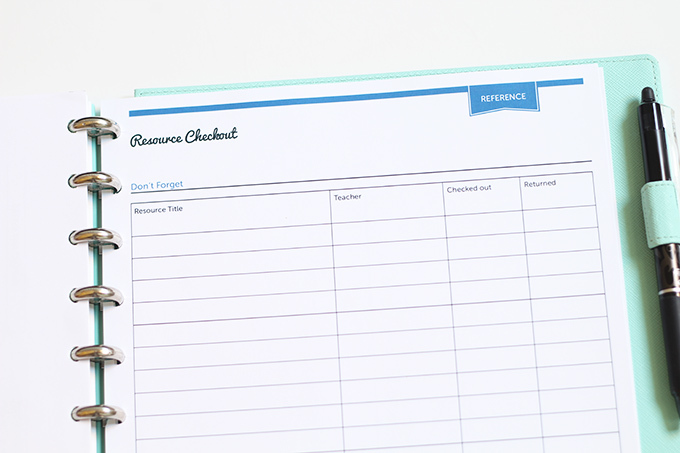 Being organized will be a life saver when you’re in high demand. Whether it’s on a Google Doc or in a binder, I suggest organizing each teacher’s schedule and room number, contact logs to document conversations and coaching, and materials specific to each teacher’s needs. Keeping a tidy work/office space will make it easy and is welcoming for teachers to come talk and spread out materials. 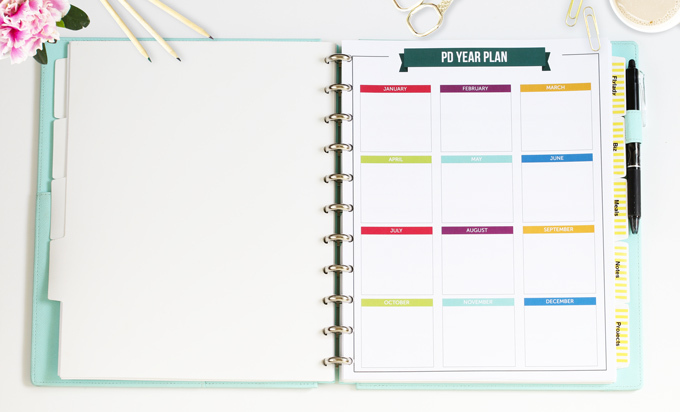 Prioritizing your work for the start of the year is essential. Although this can change as the year unfolds, having a plan of attack and a general timeline will give structure to your role. Being aware of your building and district goals is crucial and will help focus your work. Some teachers will be excited to work with you, so make them a priority by tapping into their excitement. Communicate, communicate, communicate! It’s easy to get caught up in emails and meetings especially when you serve a lot of teachers in multiple buildings, but get out there! Chat with teachers in the hall between class change, eat lunch in the teachers’ lounge, attend social gatherings, etc.Ask teachers where they need support so your efforts and feedback are targeted, and I recommend asking teachers what they want as well. This can go a long way in helping you connect with a teacher…never a bad thing when building relationships! Talk with your administrators, department chairperson, and special education coordinator so the messages you communicate are consistent. Be accessible and share your daily schedule with those depending on you. I’d also suggest creating a “Pineapple (Welcome) Board” for teachers to invite others to observe the awesome things they’re trying; it’s a great way to get teachers talking about teaching and learning! 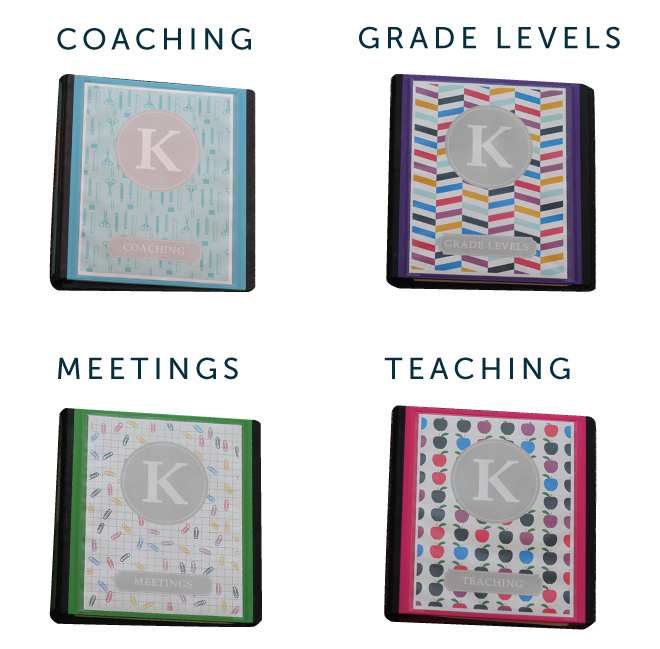 As an instructional coach for a K-5 elementary school, the number one tip I have about gearing up for a new school year is to ensure that I am building trusting relationships with our staff, and the number one way to do that is to communicate and stay organized! In order to communicate, I must have all of my responsibilities coordinated. 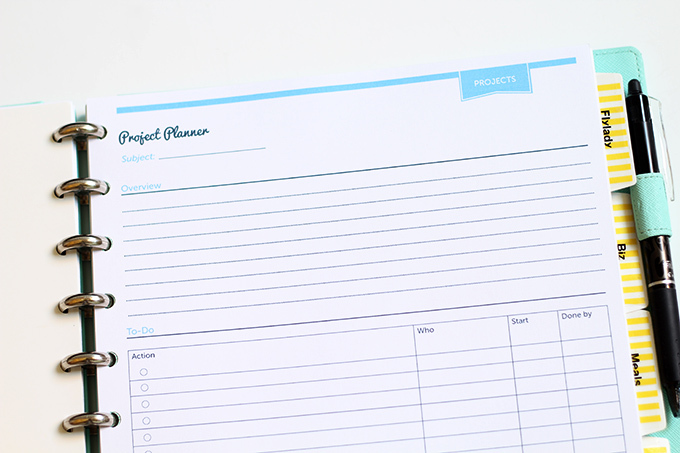 This consists of lots of planning (using my Time & ToDoPlanner really helps with this!) I sit down with different colored pens and iron out the calendar for the year. First looking at benchmark dates so I can mark off weeks in my calendar the few times each year when I will not be accessible to classrooms because I am responsible for facilitating our team to complete all of our benchmark assessments. Next, I look at how long it will take me to get all of our instructional groups up and running in accordance with completion of benchmark assessments and data team meetings. Once I have the date down for when I can start coaching cycles, I mark in my planner when letters need to go out to the staff, how long I can run each cycle and organize the request survey to send to staff. Typically, I can run four, 6 to 8 week cycles per year. 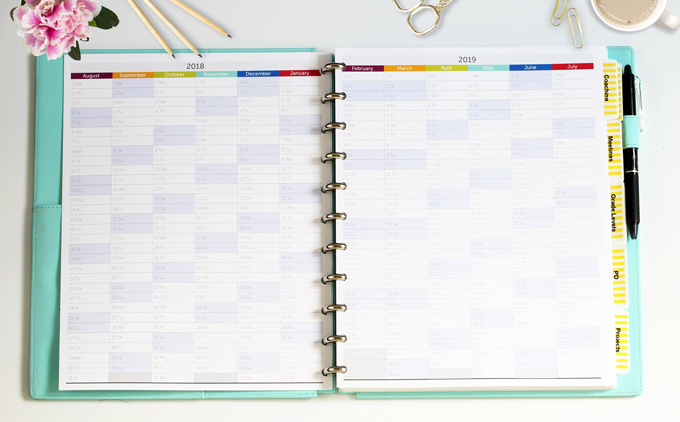 After I have all of that recorded and grouping in my planner, I can then sit down and draft out an email to the staff of all specifics going on for the year, which really helps with those relationships. I share when my cycles will start, when to expect our team for benchmark assessments and how I can learn along side them with our professional development focus for our school. Once the communication piece is in place, organizing our instructional support room comes next! I house a lot of materials that teachers need and use throughout the school year, from professional books and teaching resources to assessments and supplies! In order to be ready for teacher requests, I must have everything organized and ready before school starts. This means many hours of unboxing and labeling (which makes my heart happy!) Also, the instructional support room is utilized for many learning groups, so I need to ensure it is ready for kids’ use too! In conclusion, in order to start the year off right, meeting with our principal to ensure we are on the same page in regards to professional development in the building is critical. This allows me to communicate the best I can to the staff in order to keep those relationships so I can ensure the best possible coaching support in our school. 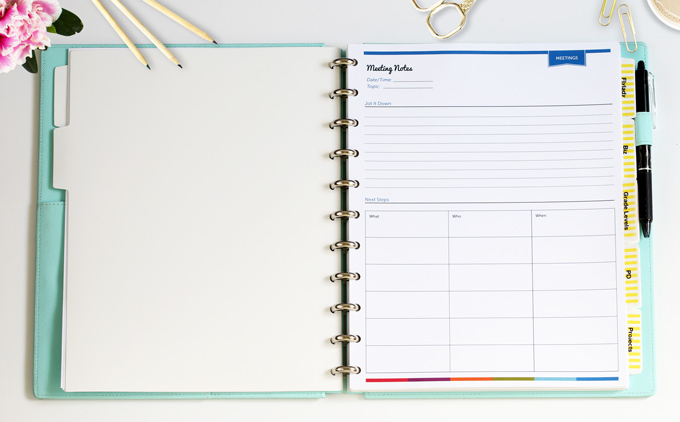 My #1 tip to prepare for a successful year is to create an organization system that works for you. 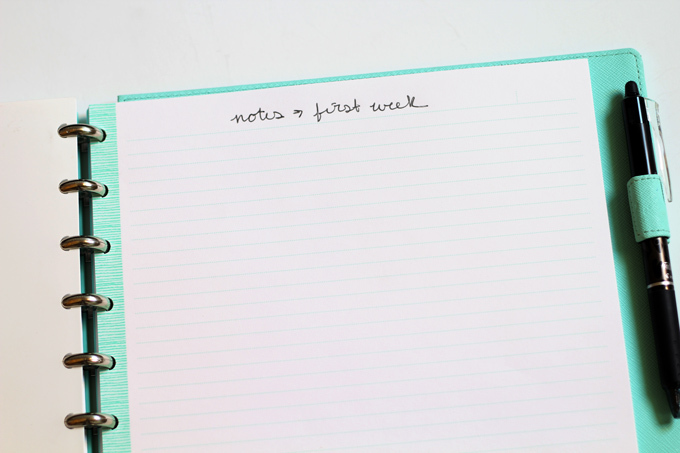 Then take the time daily, weekly, or monthly to revise your system and stay organized. 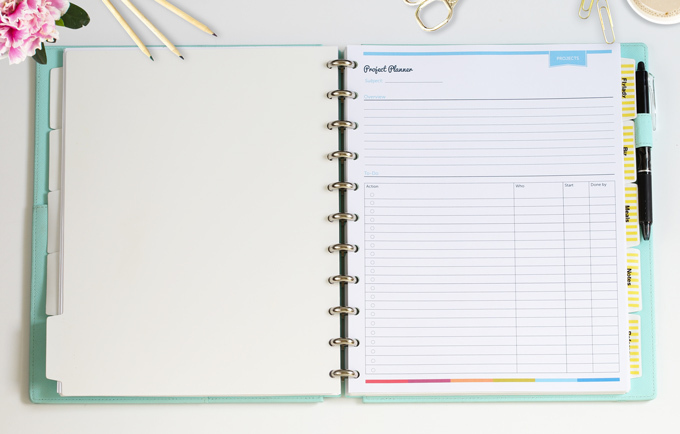 Keeping track of your schedule, notes from coaching cycles, and other projects can get overwhelming if you are not organized. My tip for a successful year of coaching is to start with some goals for campus growth. Think about what areas your teachers would like support in, and how you can help them grow in those areas. Isolate it down to about 4-5 actionable items; things you can actually do to support your teachers. Then, write it down and post it! Throughout the year, when you feel like you’re being pulled in 8 million directions, take a look at your goals and reflect. Is your work reflecting your goals? Do you need to change them? And do you need to adjust the way you’re spending your time in order to accomplish those important items? 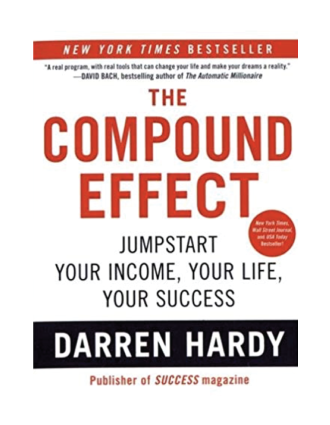 My #1 tip is this — Listen to these guys! There is a ton of gold offered in these thoughts. Let this be the blog post that you revisit more than a few times, take notes on, and really reflect on how to put any or all of these suggestions into practice this year. If you set yourself up for success, anything is possible. And you’re sure to make that happen by taking action on the advice shared here. A BIG, HUGE thank you to all of the coaches who participated in this post! Your First 90 Days as a Coach. Let’s Break It Down. 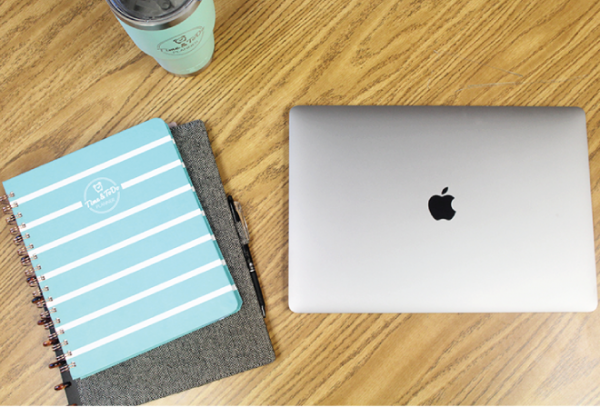 Ready or not…Back to School we go! I’m not sure about you, but this time of year I always have a million thoughts swirling through my head. So I decided to put together a list. A list to help guide me (and you!) through the start of a new school year. All too often with the hecticness that is the beginning of a new year, we can find ourselves doing more scrambling forward rather than steady, purposeful stepping forward. Don’t get overwhelmed, just take it one steady step at a time, and you’ll find yourself solidly on the path towards accomplishment and success in your work this year as a coach. This list is by no means all-encompassing, but provides a good foundation for all of us, new and veteran alike, to build on. Hope this helps set you off on the right foot!